Oh, the LBD; one of my all-time favorite pieces of clothing. 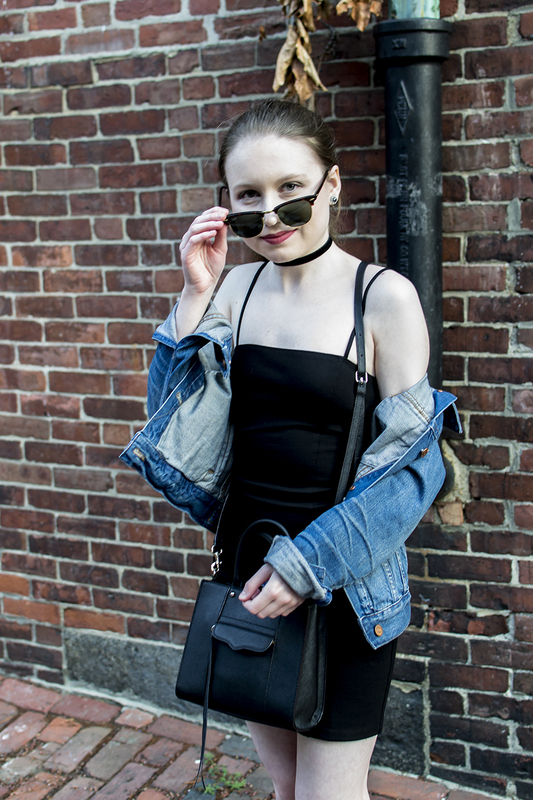 There is no occasion an LBD can't be worn to. It can be dressed up or down and take on any personality. When I stumbled upon this one in the end of summer Ref Sale, I couldn't let it slip by. I love the dainty straps, straight neckline, and formfitting cut. It has a '90s vibe which is always a win with me. The '90s really were all that. 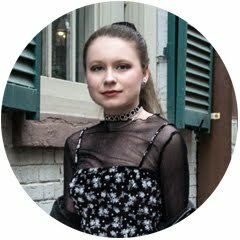 I dressed down the LBD with my 'Stan Smith' sneakers, black velvet choker, and Madewell denim jacket. 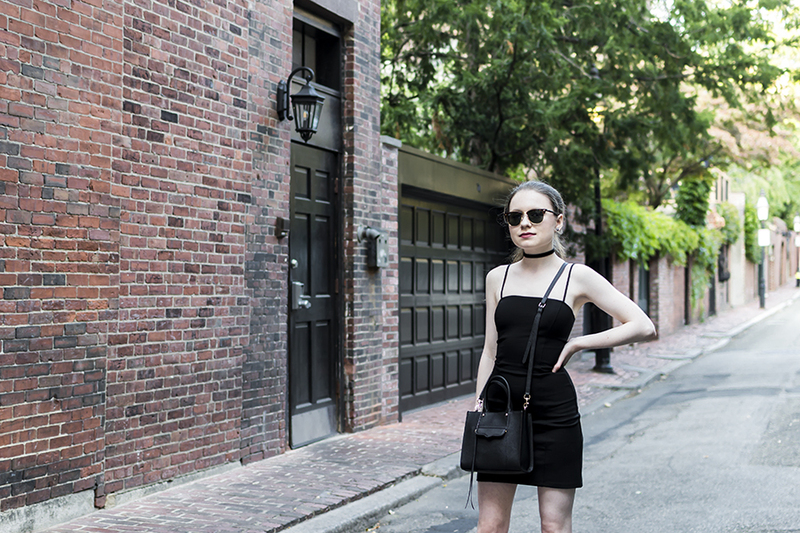 It was the perfect look to wear strolling through the streets of Beacon Hill on a cool and sunny afternoon. I don't think I'll ever get over how much I adore this neighborhood. Simple dresses and city streets have my heart.